"Industrial Internet of Things is the core of this digital economy. It is everything that has been promised to be. The resulting predicting capability and adoption has brought the new paradigm shift for every business." Industrial Internet is indeed transformative. A catalyst that has brought a wave of technological change with unprecedented opportunities to business. This Internet revolution in Industries has dramatically altered the agriculture, transportation, energy industries and other parameters which together account for two-thirds of global GDP. Industrial Internet has fundamentally transformed the interaction between humans and machines. The massive volume of data from connected devices has increased the ability to make quick and intelligent decisions and take actions in real-time. Just as Internet has given rise to Netflix, Amazon, and Google and has been a boom for youth, Industrial Internet of Things has redrawn the boundaries, changed the basis of competition and created a new wave of disruptive companies. New coalesced connected ecosystem that brought software platform and blurred the traditional industry boundaries. Improved operational efficiency like improved uptime, Asset utilization with the help of Predictive Maintenance and Remote Management. Collaboration between humans and machines brought unprecedented levels of productivity. Exponential growth in outcome economy and crystal clear visibility into processes, products, and customers. Industrial IoT is mostly dependent on data, and the security of data plays a very crucial role. And to realize the complete potential of Industrial Internet, companies need to overcome many hurdles. The prominent ones being the security and data privacy which are becoming highly significant these days. Companies would need new security framework as the physical and virtual world combines at a vast scale. The major challenge to be monitored in Industrial IoT is interoperability among existing systems. Today’s operational technology systems do not work in silos and are dependent on the fully functional digital ecosystem which requires seamless data sharing between different physical networks. But Industrial IoT has made everything simple and more comfortable. 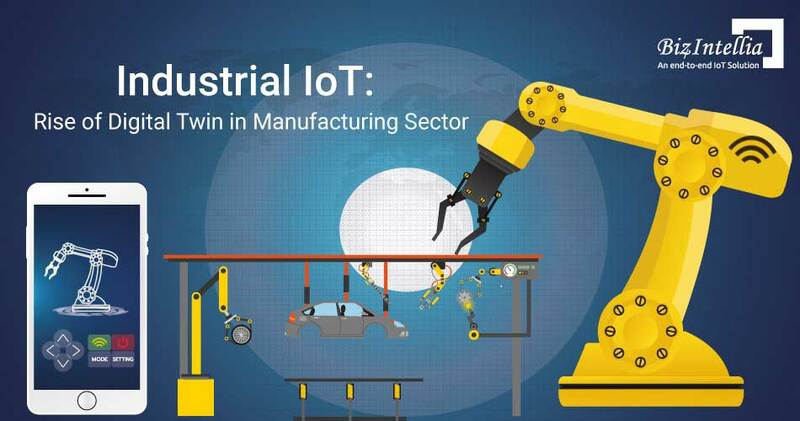 Organizations have come up with a robust long-term R&D to solve the fundamental challenges and have demonstrated the real benefits of Industrial IoT among the general public. Gartner, one of the analyst firm, declared that IoT was the most hyped technology in 2014. And much of the hype focuses on consumer applications such as smart homes, connected cars, smart wearables and many more. However, Industrial IoT has dwarfed the consumer applications in socioeconomic impact and potential business. Industrial IoT Solutions has transformed many industries like manufacturing, agriculture, Oil and Gas, Mining, Transportation and healthcare. And in a nutshell, these account for two-thirds of the world economy. Real-time information usually means a few seconds but adoption of Industrial IoT has brought it to sub-millisecond. Another important thing to ponder upon is reliability. Real-time and Reliability contribute a lot to the conservative culture of the Industries thus embracing change and new technologies. High-cost, the long life span of industrial products are all critical factors in shaping the evolution of the Industrial Internet. Adoption of Industrial IoT is accelerating. The recent statistics say that during the past 4-5 years the number of sensors shipped has increased more than five times from 4.2 million in 2012 to 23.6 billion in 2014. The companies and municipalities have already started applying the Industrial IoT to create more revenue, drive efficiencies and improve quality of life for consumers. General Electric (GE) says that they saw more than 1 billion dollar increment in revenue in 2014 thus improving the asset performance and business operations through Industrial Internet services and capabilities. Not only this the German and Chinese Governments have made a high-level dialogue to accelerate the benefits of Industrial IoT in the two countries. 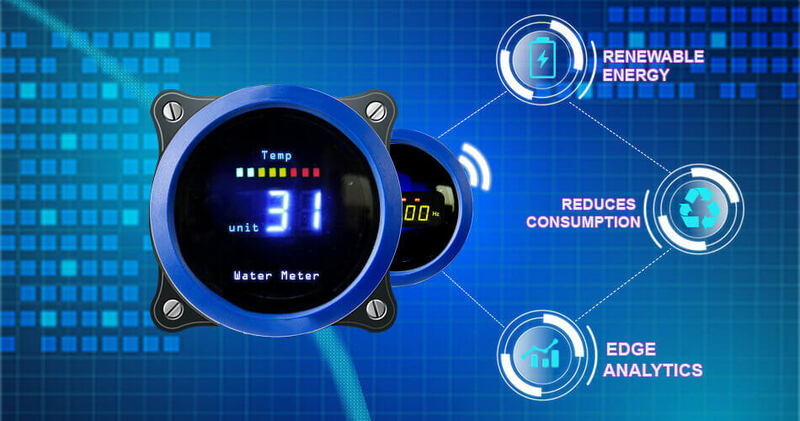 With a consecutive implication of IoT and Industrial IoT, exponential growth has been reflected on the driving results of industries which use sensor data and rich analytic strategy. What differentiates IoT and IIoT is which can deliver the most value in solving the complex services. IHS forecasts that the IoT market will grow from 15.4 billion devices in 2015 to 30.7 billion devices in 2020 and 75.4 billion in 2025. The Industrial IoT has the potential to deliver up to $11.1T on an annual basis by 2025. The Industrial IoT has given the emerging markets a unique opportunity in digital infrastructure. These capabilities of Industrial IoT has laid the new foundation for the next wave of smart services and economic development. The Industrial IoT across multiple industries has reaped tangible benefits in generating revenues, improving operations and reducing downtime. 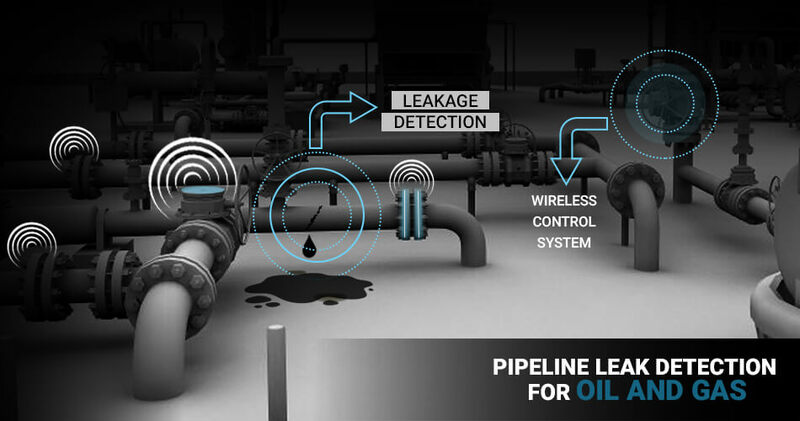 Industrial IoT, provides real-time visibility and control capabilities to track the asset performance and predict the failures. To survive with disruptive technologies and competitive business world, companies are highly investing in implementing the Industrial IoT Solutions to improve operational efficiency. 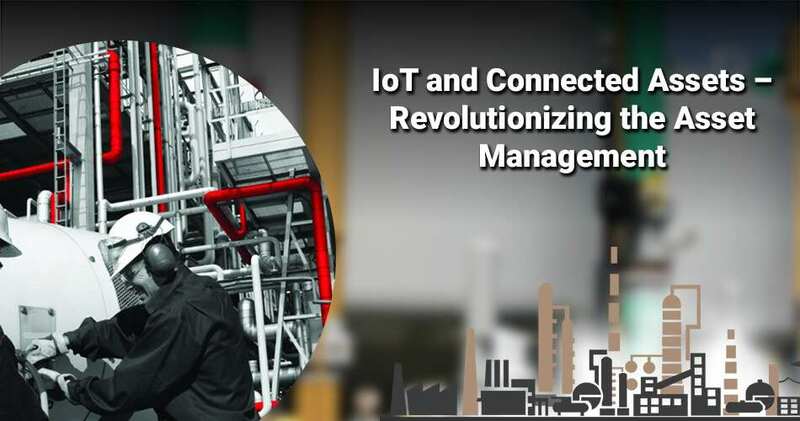 Leveraging the power of IoT in the industrial world has created environments with connected assets brings a wide range of operational efficiency benefits. Setting up a business is one thing and running it successfully through long is another one. And Operational Efficiency is a crucial factor that makes it possible. Industrial Revolution 4.0 has brought new products to cater the smart services to the customers. IoT is not only about the connected things; instead, it is unleashing more opportunities for creating more products and services which were previously not possible. One of the recent insights from Forbes says that 60% of the enterprises are expanding or transforming their new lines of business while 36% are considering the potential of new business directions. Additionally, 63% are already reaping the benefits of the updated services and products. The digital age has made 'outcome economy' possible. With the increasing number of sensors, the physical world has moved to the online one. In the outcome phase, companies have entirely shifted from selling products and services to measurable results that are important to the customer. Sensor data from connected machines contain detailed traces. By applying advanced analytics to such data, companies get a better understanding of the interaction between input and output. The outcome economy has many implications for businesses. Companies need more data to track real-time factors and manage risks. 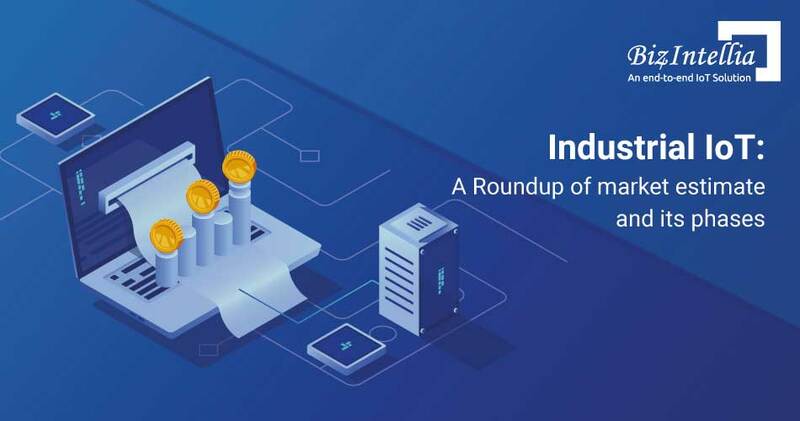 Success in outcome economy requires more cooperation among enterprises to have a more connected world, a new ecosystem and technology platforms that can serve the Industrial IoT economy. 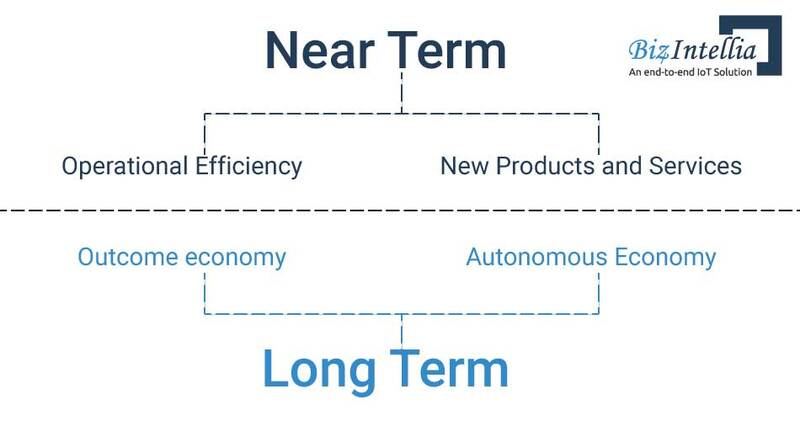 To sustain the autonomous economy, there needs to be a deluge of real-time data. And to make autonomous action effective, a quick response with certain judgments is required. An era of transformation has come where monitoring intricate details in real-time, asset monitoring, real-time behavior of workers has become a reality. Primarily, everything physical or non-physical have come up online and hence is named as the Internet of Things. It is human life in digital form. For most of the imperative producers and providers, the intent to adopt Industrial IoT is to have incremental results in the revenues. Organizations are making a paradigm shift to digital technology to reduce cost or increase top-line growth. According to recent studies, it was known that 79% of people say that optimizing asset utilization is very important for adoption whereas 74% say the same to create revenue through new products and services. The most critical application of Industrial IoT is remote asset management and predictive maintenance which reduces equipment failure and unexpected downtime. The early adopters of this technology like ThyssenKrupp are already reaping the benefits at a very large scale. Another key opportunity in the adoption of Industrial IoT is the improvement of the worker productivity and safety in the working conditions. Industries, which are heavily dependent upon human resources such as Oil and Gas, Mining and Manufacturing have been at a very significant benefit by implementing IoT into their workflow. By implementing sensing technologies and remote monitoring, these industries can decrease the safety-related incidents and simultaneously making remote locations more productive and economical. There have been many benefits of leveraging Industrial IoT. In healthcare, hospital errors have been rectified, and they are no more a cause of death and suffering. The Fourth Industrial Revolution describes a dramatic step change in all of our lives. The confluence of high internet speeds, big data, the Internet of Things (IoT), analytics and artificial intelligence (AI) will fundamentally alter the way we live and work, intelligently connecting every device, making our cities smarter and our lives more comfortable and more productive.